Whomp whomp. There're no Angler Smurves for sale. 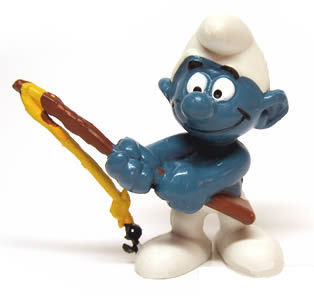 Fisherman Smurf holds his fishing pole hoping for a bite.